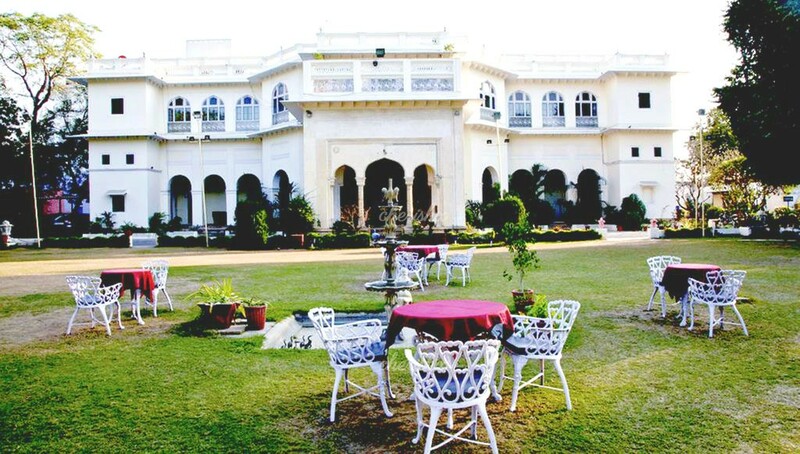 Your venue is a heritage mansion hotel nestled in the center of Jaipur in Civil Lines. 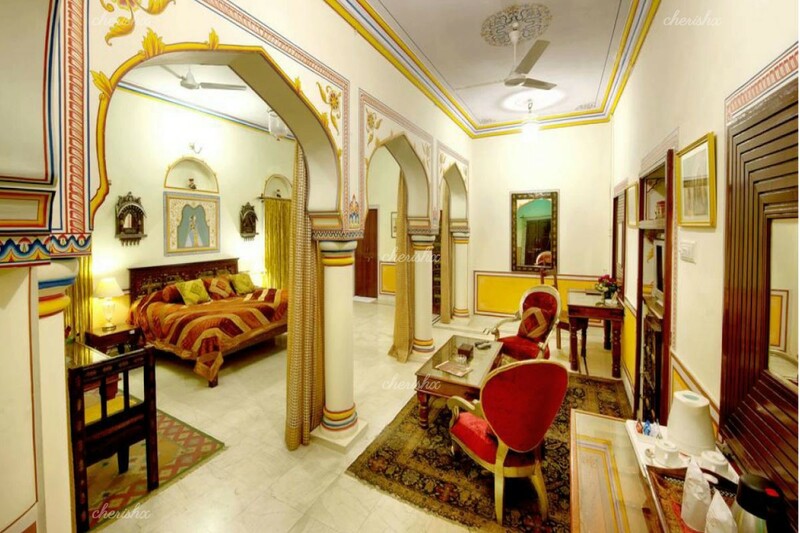 Only a KM from the railway station (and 12 KMs from Jaipur airport). 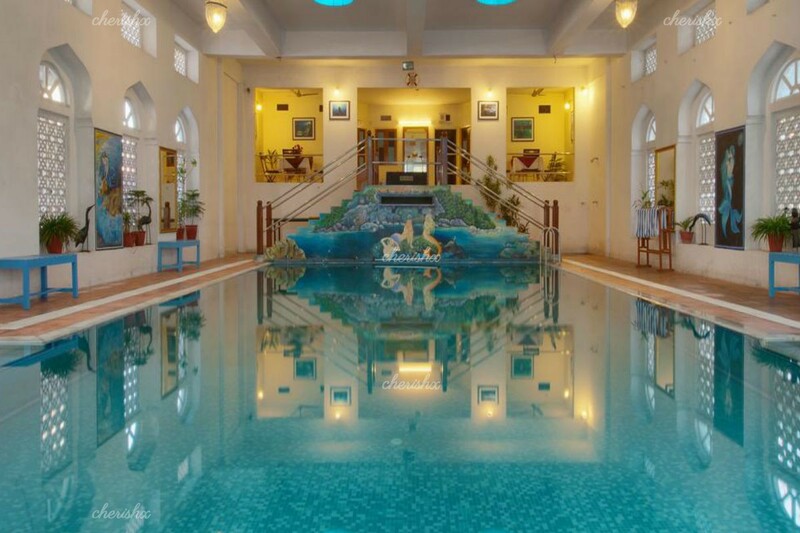 As you drive into this property, you can feel that you are up for a good night out. The check-in and check out time is 12 noon. Come over to the reception anytime after 12 noon that is convenient to you and a spacious, impressive heritage suite will be waiting for you! 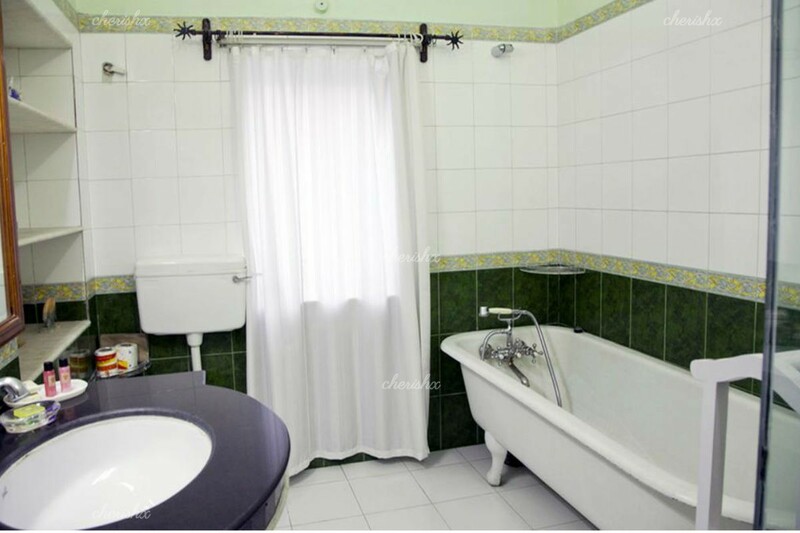 It offers comfortable bed to unwind, separate sitting area to enjoy coffee & drinks and a contemporary bath area. 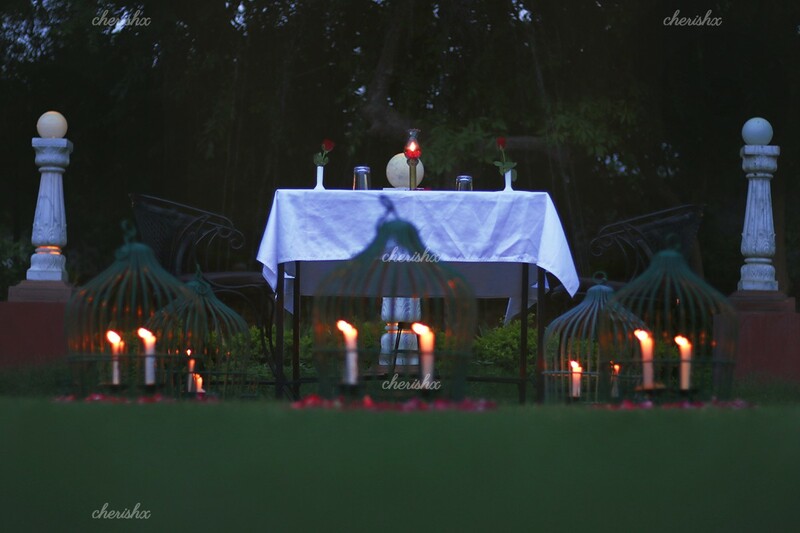 As the sun goes down, be ready for a romantic dinner being set-up for the two of you! 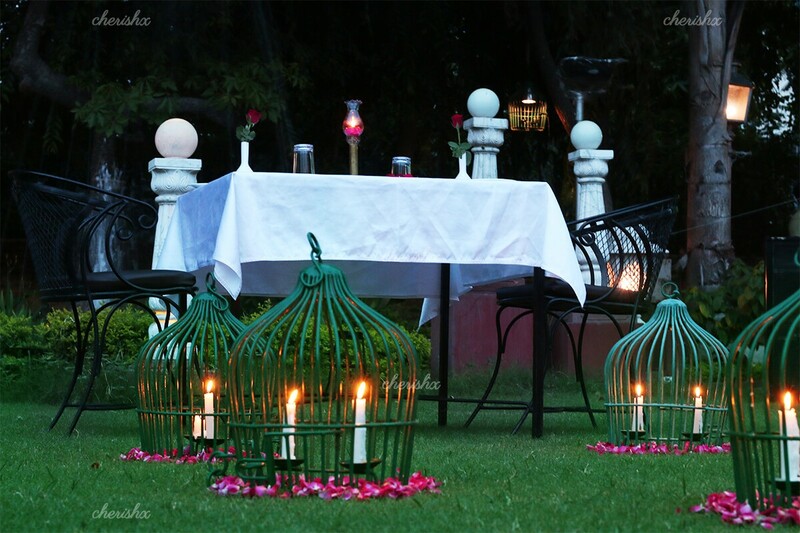 In the manicured garden of the hotel, right by the fountain a special dinner will be set-up with candles, lamps & flower petal decorations. 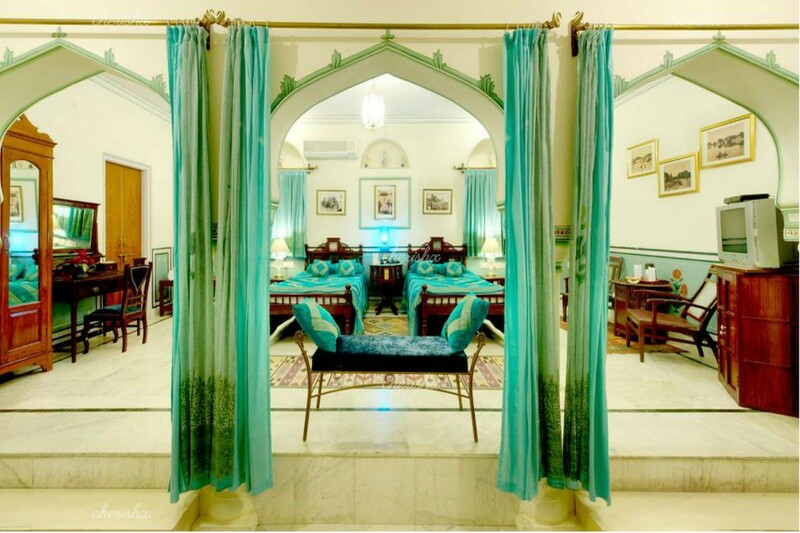 What a delight to connect with your loved one over a 4 course north indian dinner in this setting. For the hot or wet days, the dinner set-up will be organised in an indoor air conditioned, private area, which also offers a charming romantic touch. The meal is vegetarian, but you can change to non-vegetarian meal on the next screen. Also upgrade to a private terrace dining - overlooking the garden area, if you desire extra privacy. And for your special occasions - birthdays, anniversaries and festivals, we can organise a cake, flower bouquet and surprise live guitarist performance - playing your loved one’s favourite numbers! Unmarried couples and local IDs are not entertained at the property.